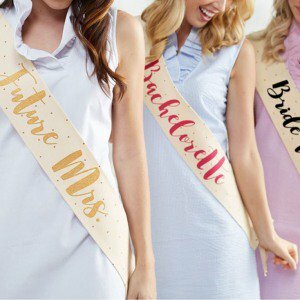 A bridal shower pajama party theme is a fun and cozy idea. It can be a small affair with just close friends. It might also be a larger group of favorite ladies. Either way low-key and casual is the tone. There are several ways to plan for this relaxing theme. The following shows two different scenarios. See if either works for the guest list you have in mind. 1. This is a nighttime gathering, generally for a smaller group that's close to the bride. It brings back the old slumber party idea. Girls gossiping, reminiscing, and dreaming about the future. Guests come prepared to style hair, paint nails, and have fun. They actually stay over. The location s one of the girls homes, or a hotel room. The invitations state that this is a sleepover. 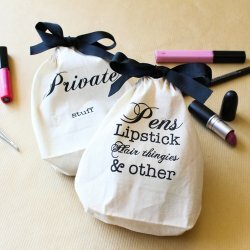 Request, politely, if you'd like guests to bring a "pajama themed gift". The decorations are simple. Balloons, streamers, etc., in colors the bride likes, are fine. This theme is more about the "togetherness"
• Make sure to have something extra for the bride to wear, like a sash or tiara...it's her night.! • Not so sleepy music...anything the bride likes. If she loves to dance, make sure you have her favorites available. • Then, make time for some games. 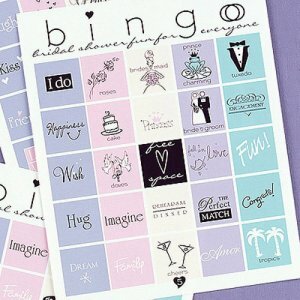 Classic bingo is always a favorite, and there are also some newer choices. 2. 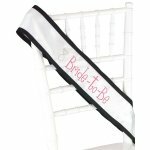 This bridal shower pajama party theme is a morning social, usually a larger group, assembled for a morning party. A private home works well as the location, especially if you'd like guests to come in pj's. Your invitations should explain the theme, and request that guests wear a casual pajama, jogging suit, or other comfortable outfit. Specify, if you'd like gifts related to the pajama party theme. The decorations can be understated, as it is a morning bridal shower. Choose a color scheme. Fresh or silk flowers placed on tables, as well as tableware to coordinate, works well. • Still need more theme choices?